The world's most expensive ice cream, according to a television programme I recently watched, earns its title due to the fact that its ice is sourced from the top of Mount Kilimanjaro. 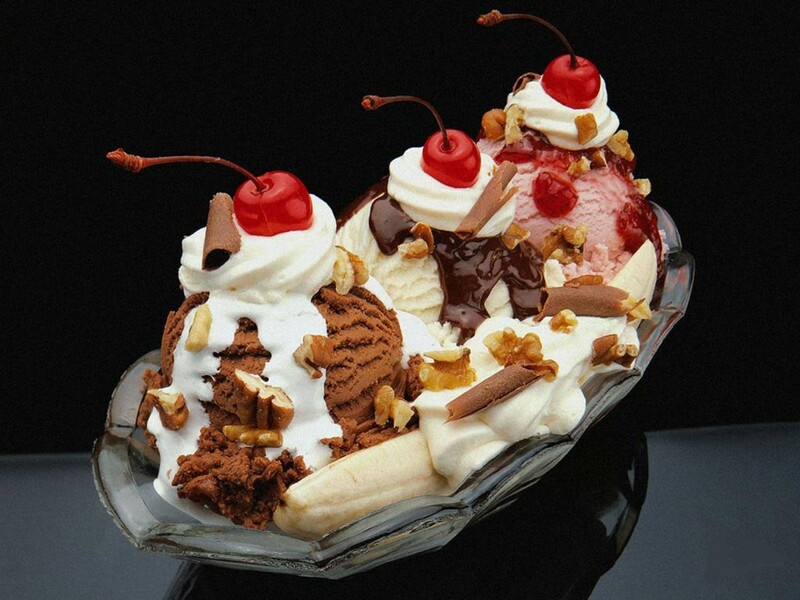 The appropriately named Absurdity Sundae made from this ice cream is a mere 'snip' at $US 60,000 per serving. Just how pretentious is that, and how jaded must be the appetites of the nouveau riche! Mind you, the sundae in question does come with a first class ticket and a souvenir t-shirt. The Salty Caramel Surprise - using sea salt scooped up from the depths of the Mariana Trench by a replica of Jules Verne's Nautilus. Roar Coffee - forget the Vietnamese weasel coffee, kopi luwak, made by collecting coffee beans eaten & passed through wild civets. My version is made from beans eaten and excreted by a reverse engineered chicken-to-dinosaur. What all of the above goes to prove is that some people have more money than sense. I would suggest the super rich try a good New Zealand hokey pokey ice cream. It even tastes good when served in a private jet.